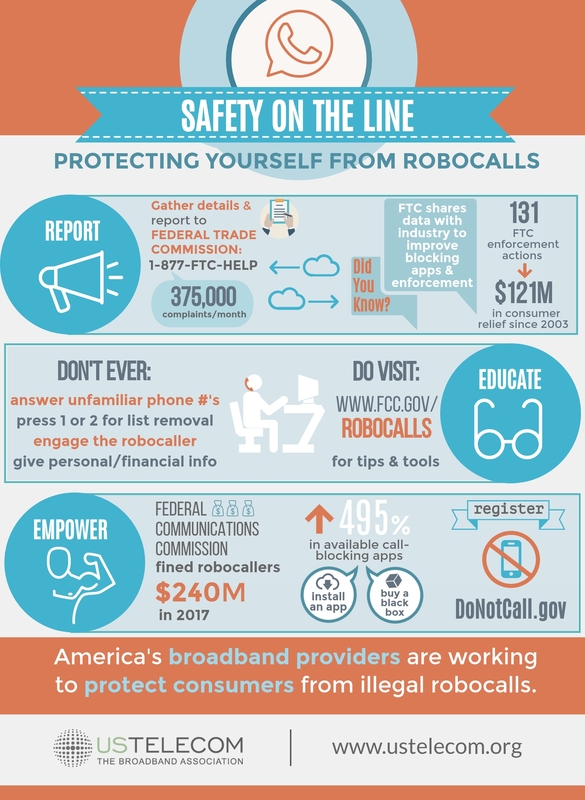 USTelecom and our member companies work closely with the Federal Communications Commission (FCC), the Federal Trade Commission (FTC) and federal and state prosecutors to identify and shut down illegal robocalls. Attached are tips and tools that you can use to protect yourself from unwanted calls. © 2019 USTelecom. All rights Reserved.